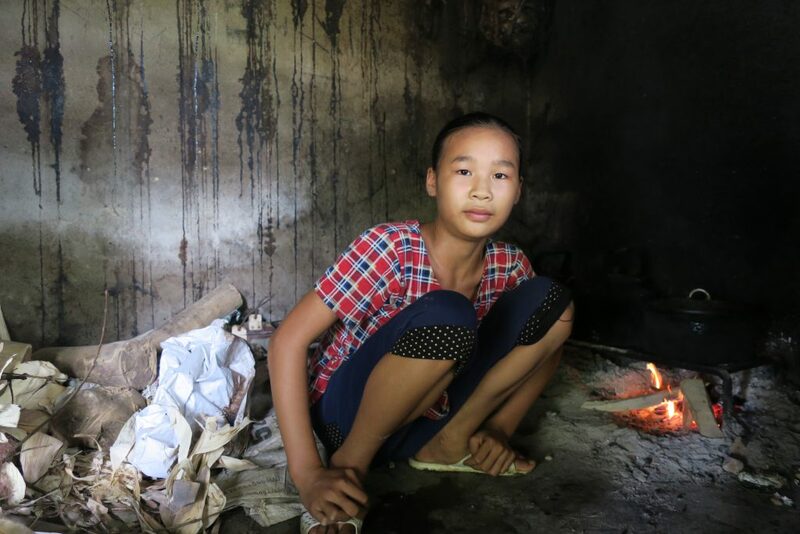 An average day for Luong Ngoc Mai, a 12 year-old grade 7 student, is packed with school, familial responsibilities, and work around the house. After school, Mai heads home straight from school to cook lunch for the whole family while her parents continue to work on the field. She feeds the cows, and looks after her 4 year-old brother, Luong Gia Hung, when he comes home from kindergarten. 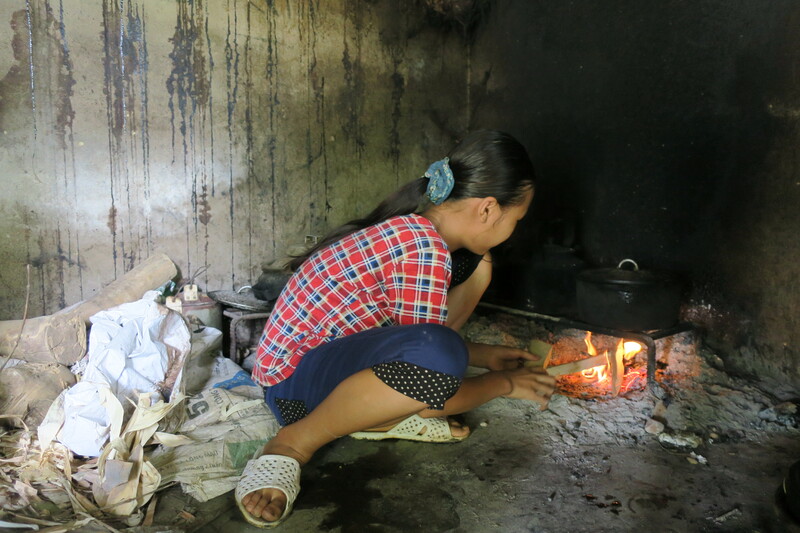 Sometimes, her 9 year-old sister, Luong Thi Thanh Hoa, helps to look after Hung when Mai is cooking dinner. Their kitchen is tiny, with soot-covered walls. After a few minutes of cooking, Mai begins to sweat, but she’s used to the heat. Their scanty, daily meals normally consist of vegetables and fish sauce, but occasionally, there is some meat or eggs for dinner. 16 year-old Luong Thi Thanh Huyen, Mai’s oldest sister, moved to Hanoi, where she works as a babysister to help support her family. 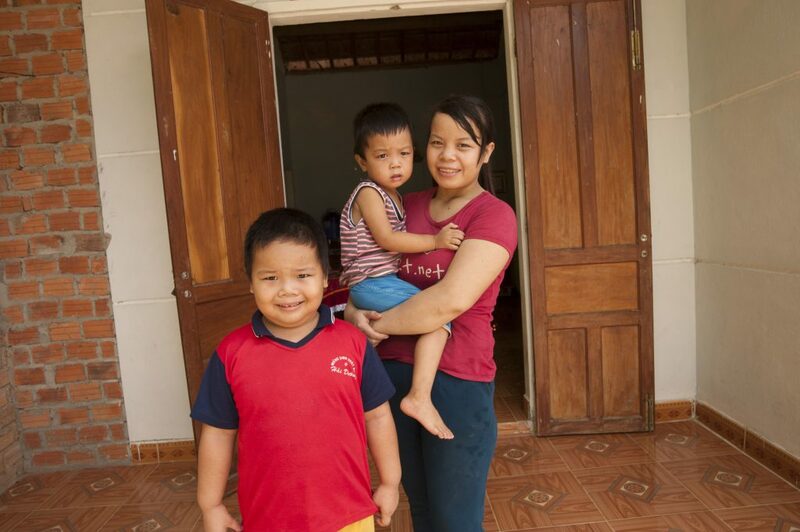 Huyen had to drop out of school, as her parents couldn’t afford the tuition fee for all three of their daughters. 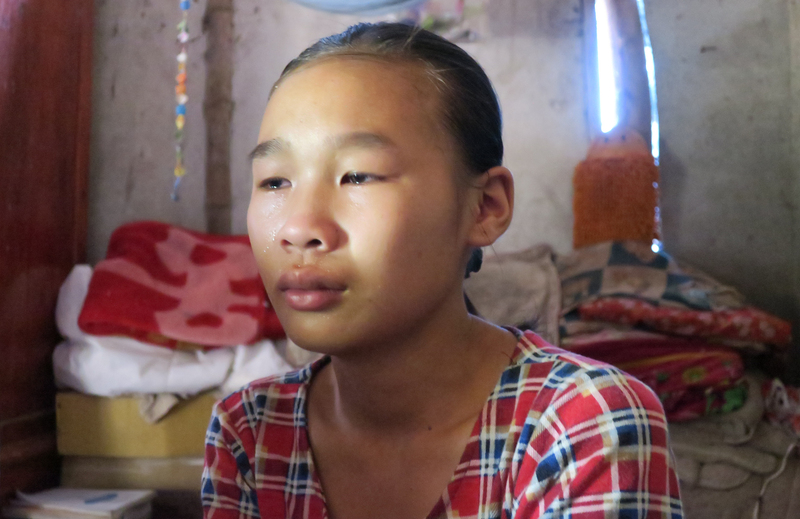 Even with government support allocated to poor families like Mai’s, it still costs VND 700,000 (US$ 35)/month for tuition fees, not to mention clothes or books. 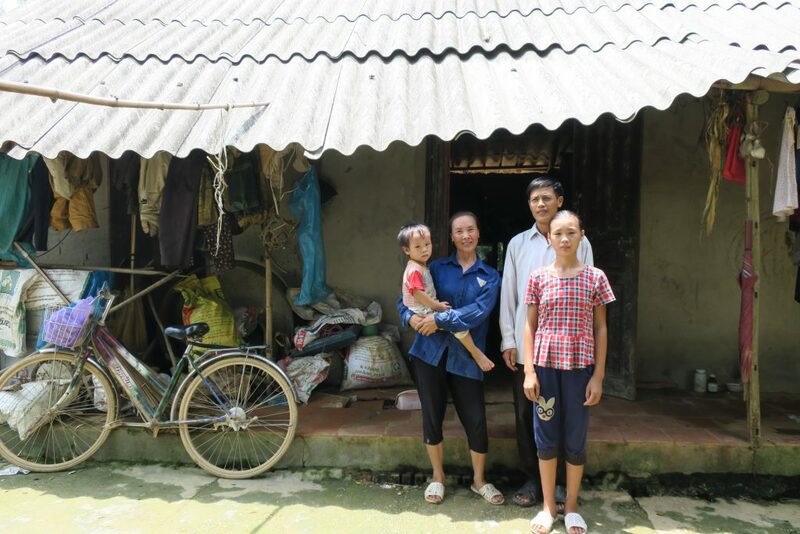 Since Mai’s father and mother, Luong Kim Hoan and Tran Thi Trang, earn less than VND 3,000,000/month (US$ 140) from seasonal rice cultivation, they sometimes struggle to even put food on the table for their kids. Therefore, their dream to build a new house has been delayed for years. 5 family members are living in a house built for only 2 beds. When Huyen still lived at home, she had to travel 100m to her grandmother’s house to sleep every night. 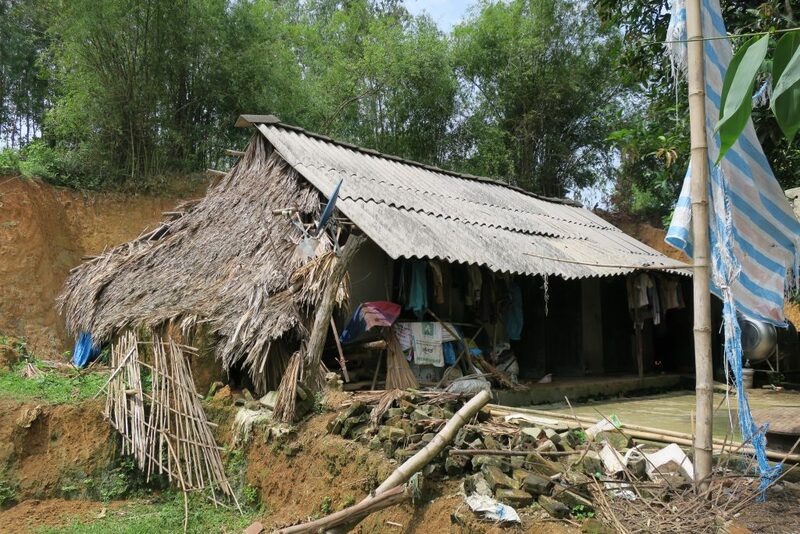 Their house is stuffy during the summer months, and wet during the rainy season, as the decrepid roof is dotted with holes that cannot be mended with plastic sheets. With cracked brick walls, the house is at serious risk of collapse during strong winds or a storm. The family lives without a proper toilet or bathroom. Their so-called bathroom is an open space outside of the house with neither running water nor a water tank, nor walls or a roof. Therefore, the mother and daughters can only take a bath when it’s dark outside. Mai is used to bathing outside during the winter, when the temperature is less than 10 degrees Celsius. They bath with warm water, to help counteractthe freezing cold weather. 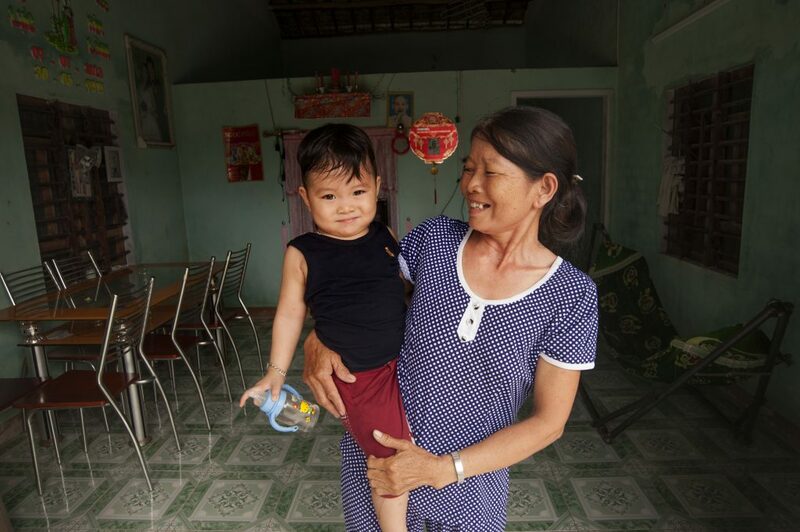 We asked Mai about her dreams and goals, knowing that her family will help build a new house, but she couldn’t respond as she continued to cry. In her steadfast gaze, we could perceive her drive and her hope for a brighter future.